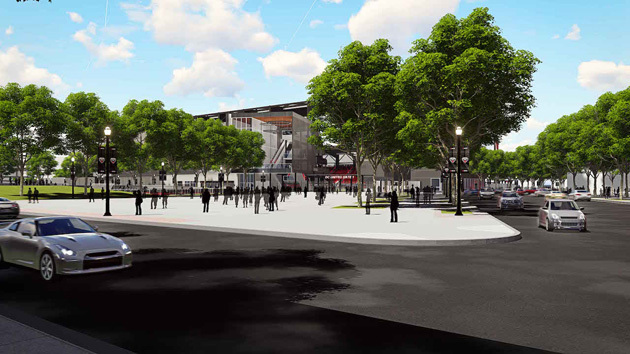 Look at the latest renderings of what should become D.C. United's home in 2018. 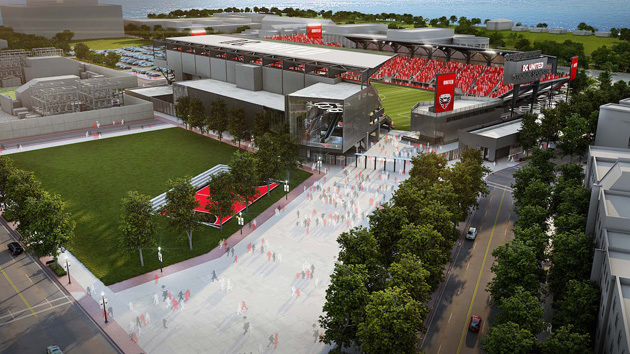 D.C. United's lengthy journey to moving to its own soccer-specific stadium is getting close to the finish line, and the club released three new renderings of the venue on Tuesday as part of the latest step in the process. The stadium at Buzzard Point will replace RFK Stadium, which has been D.C. United's leased home since the club's inception in 1996. In September, the District of Columbia filed for eminent domain to acquire the site where the new stadium will be built, and the club will reportedly have control of the site this summer ahead of the start of construction. The club, as of now, is slated to move to its new home in time for the 2018 season. Here are the latest renderings of the stadium, which show roof coverage on the two sidelines and an open-air look on both ends. For more on the future of MLS soccer-specific stadiums, read Tim Newcomb's interview with the architect of Populous, who is designing D.C.'s stadium along with Orlando City's and Minneosta's.